Every year some 200,000 Emperor Penguin follows a long, difficult, migration path to a place in Antarctica away from their normal home by the edge of the sea. 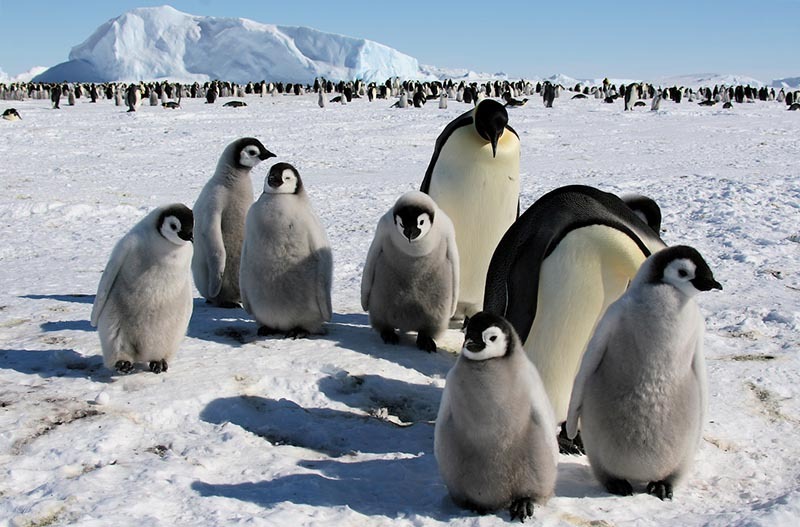 Some 200,000 emperor penguins make a punishingly long, arduous trek from the Antarctic coast to inland laying grounds each year. The father takes the egg inland and keeps it warm all winter while the mother is feeding in the distant ocean. The journey culminates in the hatching of thousands of chicks at the beginning of the Southern Hemisphere summer.